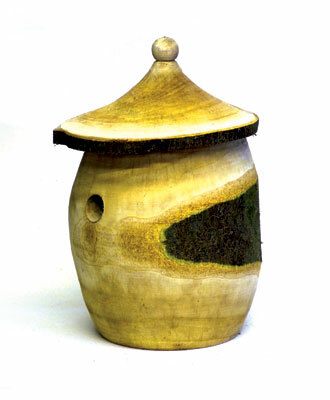 Unusual and quirky designs can be made using the natural shapes of wood sourced from local woods. Good quality oak and chestnut will resist rotting without the use of chemical preservatives. It is good practice to clean bird boxes once a year during October and November using boiling water.